Consulting firm Deloitte claims China has taken pole position in the 5G race, owing to a continued focus on network infrastructure and future investments which are matched by no other nation. While US telcos are galloping towards 5G for the bragging rights in advertising campaigns, the technology presents so much more than an ego boost for national economies. The US can partially thank its leadership position in the global economy today to the telecommunications industry and the efforts to rollout 4G. It created a test bed for innovative mobile, social, and streaming applications which have dominated revenues in the digital economy. The same prospects can be said for the 5G world, just bigger. The network densification project is going to be critical for every nation, and China does not seem to be waiting around. China Tower, which owns roughly 96% of macro towers, small cells, and DAS sites in China, has invested $17.7 billion in capital and added more than 350,000 sites since 2015. The company has roughly 1.9 million wireless sites, compared to approximately 200,000 across the US. Across the last three years, US tower companies and telcos added fewer sites than China Tower did in a three month period in 2017, as the company added 460 sites a day to the Chinese landscape. While China is streaking ahead of the US in terms of network rollout, it looks like there are also several other nations who are in a more comfortable position also. In terms of the number of sites per 10,000 citizens, Deloitte estimates this number at 4.7 in the US, though this is eclipsed by China (14.1), Germany (8.7) and Japan (17.4). Looking at the average number of sites per ten square miles, US stands at 0.4, while China has 5.3, Germany has 5.1 and Japan has 15.2. The US telcos might be bragging about getting to launch commercial 5G services first, but this means very little. 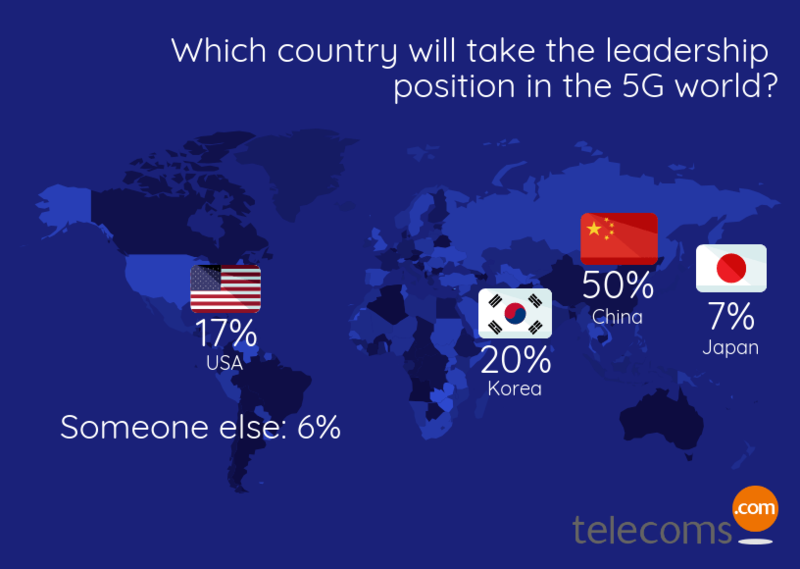 Having several pockets of 5G coverage scattered over the US, focused around the cities which house telco HQs is not the same as taking a leadership position in the 5G economy. When it comes to network densification investments, a key factor for the success of the technology, China does seem to be taking the lead. New research from Deloitte has pointed the finger at biometrics for one of the big trends of 2018 as we start to forget our passwords. “Most smartphone owners use biometric authentication because it is faster and more secure than traditional methods,” said Paul Lee, Head of Research for Technology, Media and Telecoms at Deloitte. “Passwords have to be ever longer and more complex in order to be secure, which makes them hard to remember. Deloitte is confident the technology will spread to areas such as finance before too long, but that is another hurdle which will have to be crossed. When it comes to money, people are generally very sceptical about new ideas, especially ones which haven’t been vigorously tested in other applications. Biometrics will play a strong role in finance in the near future, but there will have to be a bit more work done to convince the consumer before mass market penetration.